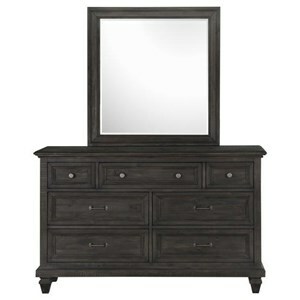 This mirror features hidden felt-lined panels with hooks for convenient jewelry storage. The felt lining prevents stones and jewels from scratches, while simple hooks ensure necklaces and bracelets won’t get tangled. 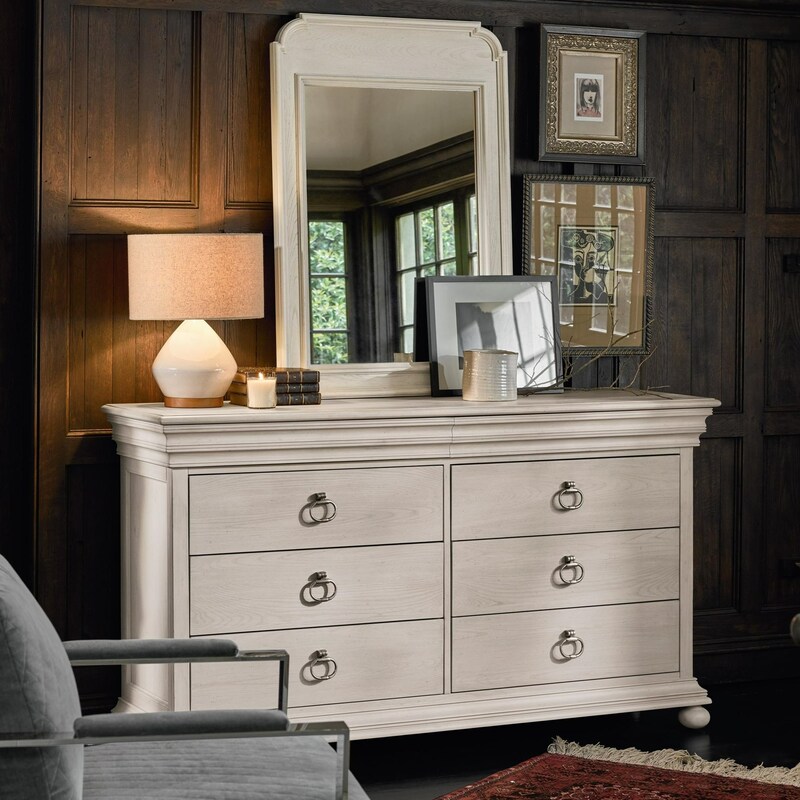 Located within the mirror’s side panels, this discreet storage frees up space on your dresser for other items you’d like to display, and keeps your valued items organized and safely out of sight. 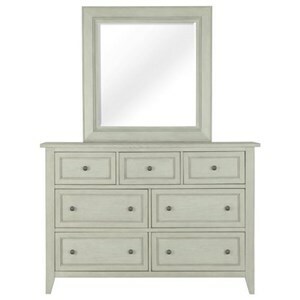 Preparing for the day is made easier with this traditional style dresser and mirror combination. The mirror brings light into the room and makes getting ready for what the day brings easier, while six spacious drawers are perfect for keeping items close. An additional two drawers, perfect for jewelry, are concealed in the dressers beautiful wood moulding. The bottom two drawers of this piece feature cedar lined bottoms that keep moths and mildew away, keeping your clothes fresh. Put these two beautiful pieces together to complete your bedroom. The Élan Traditional Dresser and Mirror with Concealed Drawers by Universal at Reeds Furniture in the Los Angeles, Thousand Oaks, Simi Valley, Agoura Hills, Woodland Hills, California area. Product availability may vary. Contact us for the most current availability on this product. Browse other items in the Élan collection from Reeds Furniture in the Los Angeles, Thousand Oaks, Simi Valley, Agoura Hills, Woodland Hills, California area.